Already a tradition of our company, edition number 8 of the Summer School a+ was held from 13th July to 3rd August, 2017. For three weeks, specialists of our company with e xtensive experience in specific areas gave free courses to last-year students, master students and graduates of the faculties of Pharmacy, Chemistry, Biology and Chemical Engineering. The need for specialized personnel in key areas of the pharmaceutical industry and the fact that the Romanian academic curriculum is not updated with the needs of the pharmaceutical industry, where requirements are extremely high, has made us rethink the policy of recruitment and training well in advance of actual employment. 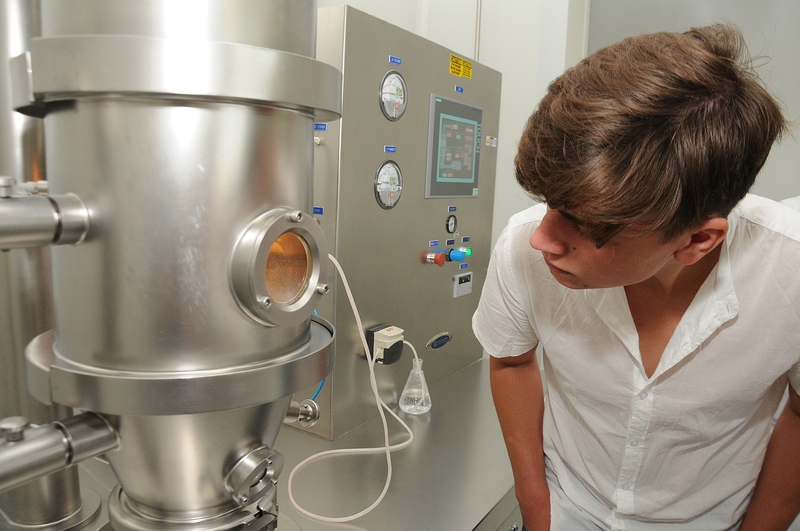 “Summer School a + is a chance, a unique opportunity for young graduates to broaden our knowledge in the pharmaceutical field, to start our journey in search for identity and professional fulfillment based on advice and experience of the specialists we met here at Antibiotice. 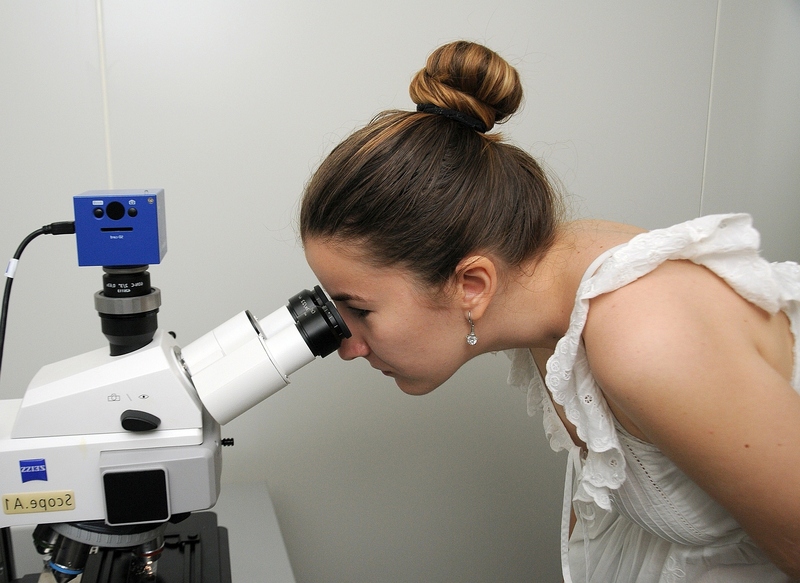 ” I am convinced that wherever I get to work later on, I will remember the things I’ve learnt at Ssummer school a+ ,” said Oana Elena Burlacu, a graduate student of the Faculty of Biology (Alexandru Ioan Cuza University) specializing in microbial and cellular biotechnology. 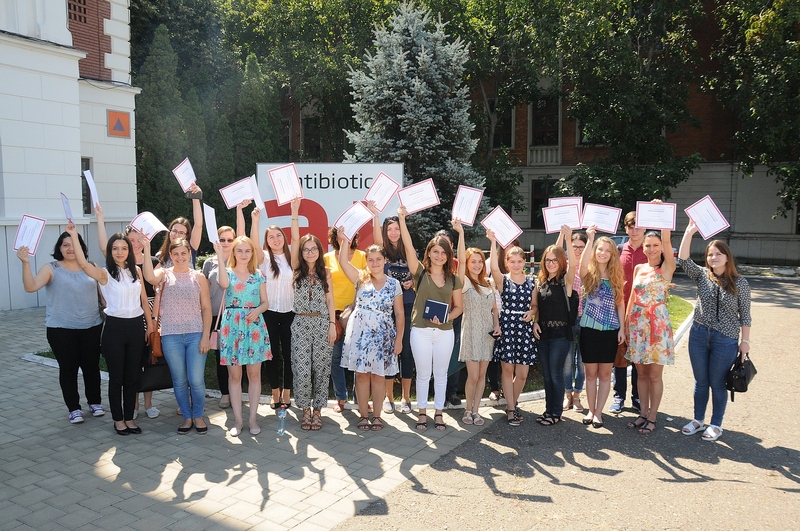 The 30 students and graduates selected for this edition of the “Summer School a +” have learned practically how the pharmaceutical industry works and have understood the process of generic drug development, from the concept to the file required for obtaining the Marketing Authorization. “I never imagined how much work there is behind a single drug, even a single pill, and how many regulations govern this industry. Here at Antibiotice I’ve realized that for the production of a single packaging box it takes steady and assiduous work of a whole team of highly trained people, who work together to put the product on the market. One thing is to be taught the theoretical information, and another is to listen to those who are actually involved in production, where the latest laws and regulations are applied, where daily challenges need to be faced. 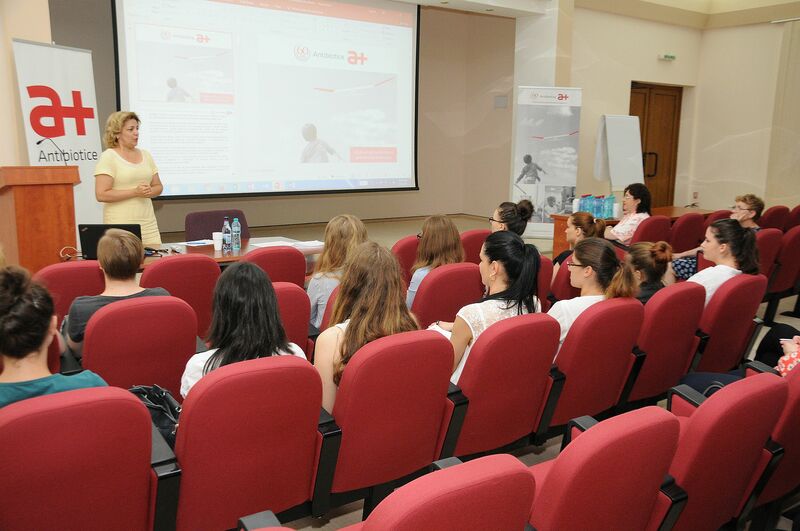 We have had a great deal to learn from these people, not only on the theoretical side, but on the motivational side as well, I mean their success stories,” said Iulia Andrici, a student at the Faculty of Pharmacy in Iași. Summer School a+ offers the possibility of integrating academic education with a range of concepts, professional standards and regulations specific to the pharmaceutical industry, while developing skills and accumulating useful knowledge in the field. At the same time, it represents an opportunity to share the knowledge acquired over the years by Antibiotice specialists to those interested in the pharmaceutical industry. “Learners had the opportunity to learn a part of the” secrets “of pharmaceutical development, ask questions about the formulation and technology used when manufacturing a medicine. The theoretical knowledge gained during the presentations was complemented by a practical session within the Pilot of the Tablet Plant, where they were presented with laboratory equipment and processes, as well as processes specific to the pharmaceutical industry, said pharmacist Mădălin Postolache, coordinator of the Pilot for Solid Oral Forms. Following the end of the courses, the participants held an evaluation test that constituted a pre-selection for future competitions for the purpose of employing available positions in Antibiotice in specific areas. 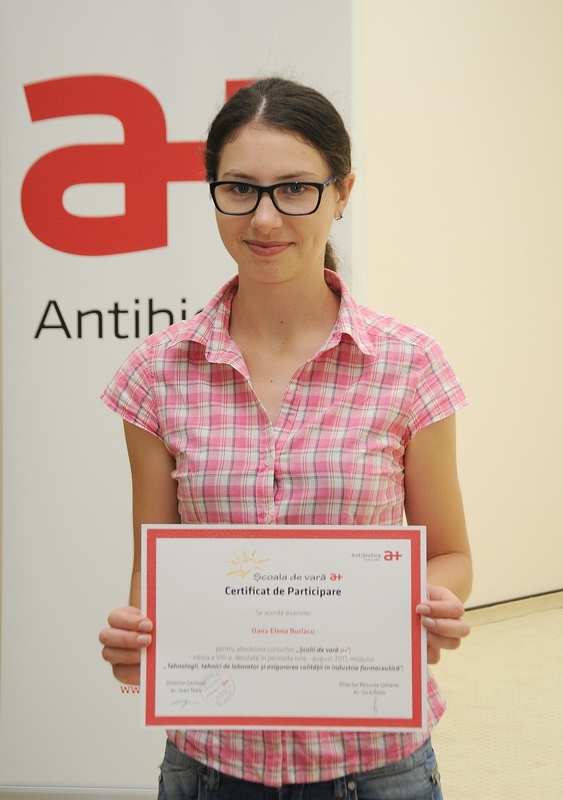 “I will share my experience at Antibiotice’s Summer School with my colleagues and friends, encouraging them to participate because they will learn a great deal, which will help them greatly in their future professional development, said Bolea Luiza-Mihaela, a graduate of the Faculty of Biology,” specialized in Biochemistry. 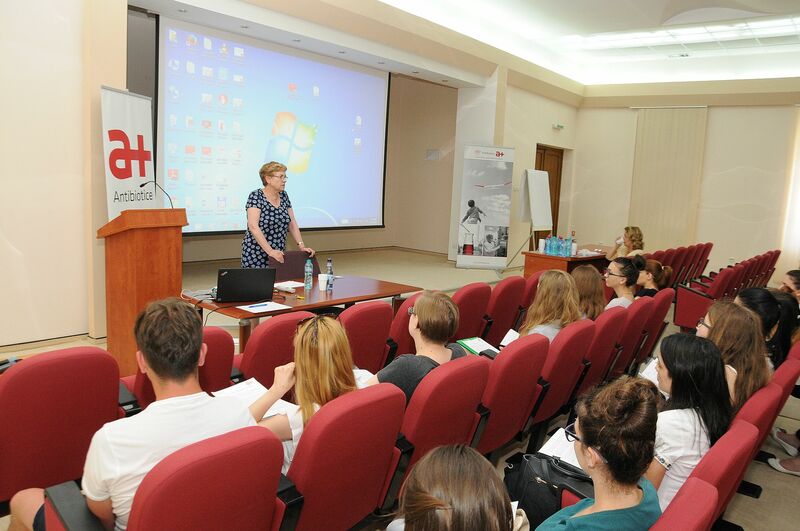 “Summer School + is a complex and consistent educational program initiated by Antibiotice Iasi in the summer of 2010, in partnership with Grigore T. Popa University of Medicine and Pharmacy, Ioan Cuza University and Gheorghe Asachi Technical University. 38 students who participated in this project were later offered jobs with Antibiotice in various sectors: research, quality insurance and control, regulatory affairs, bioequivalence studies, production.